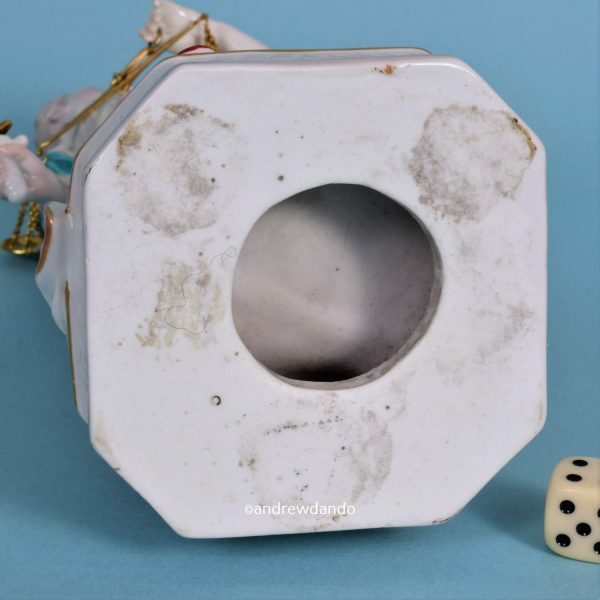 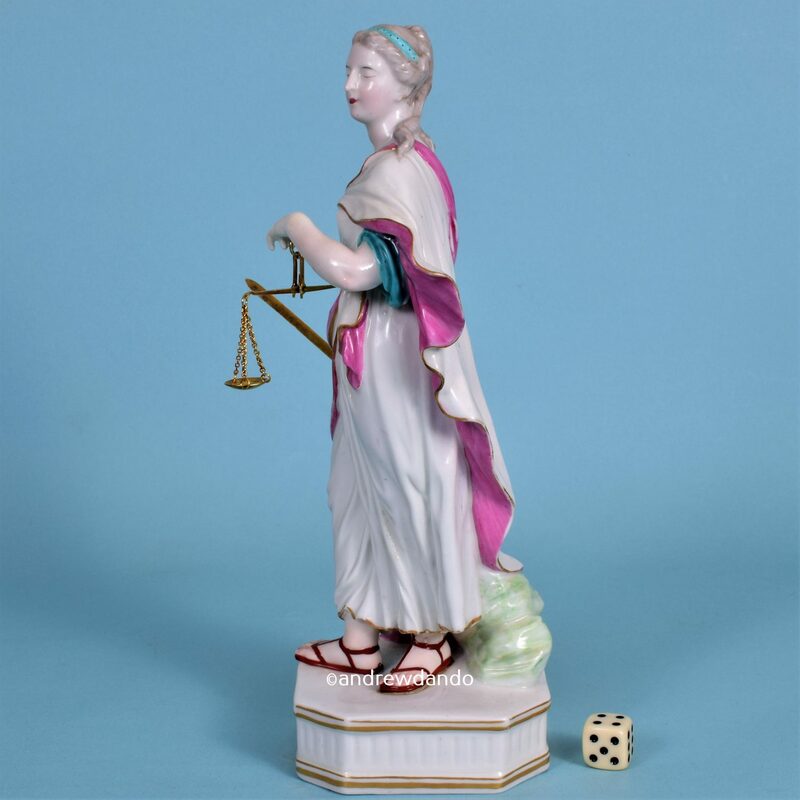 Chelsea-Derby Porcelain Figure of Justice. 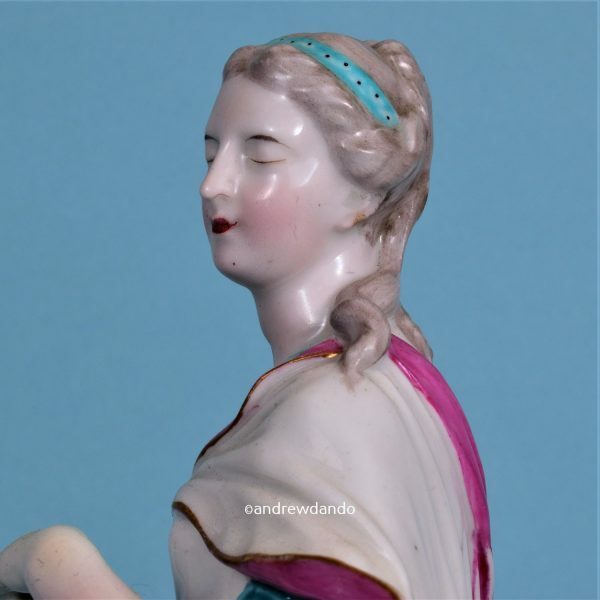 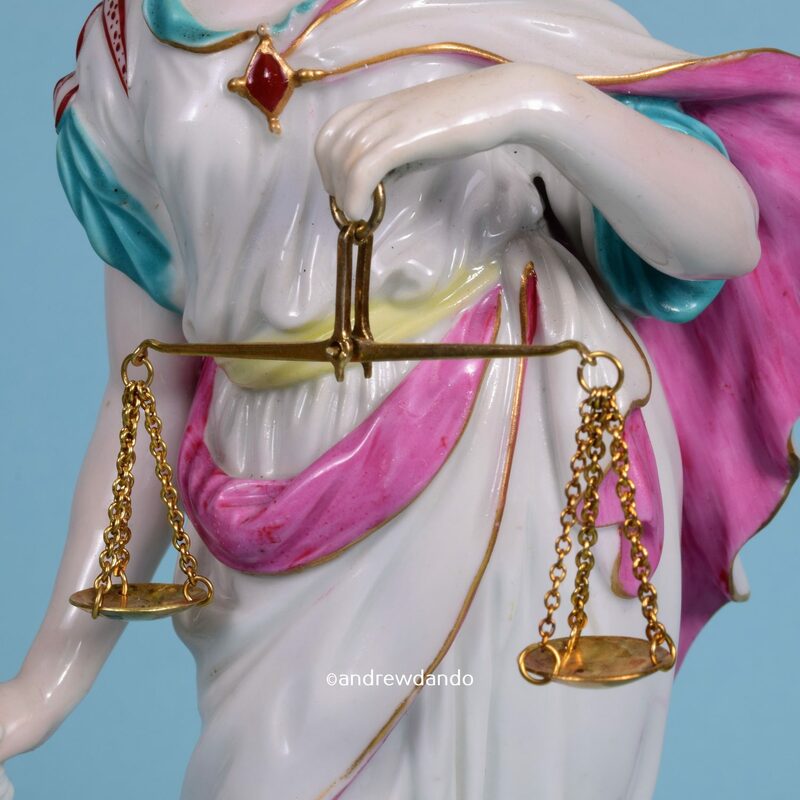 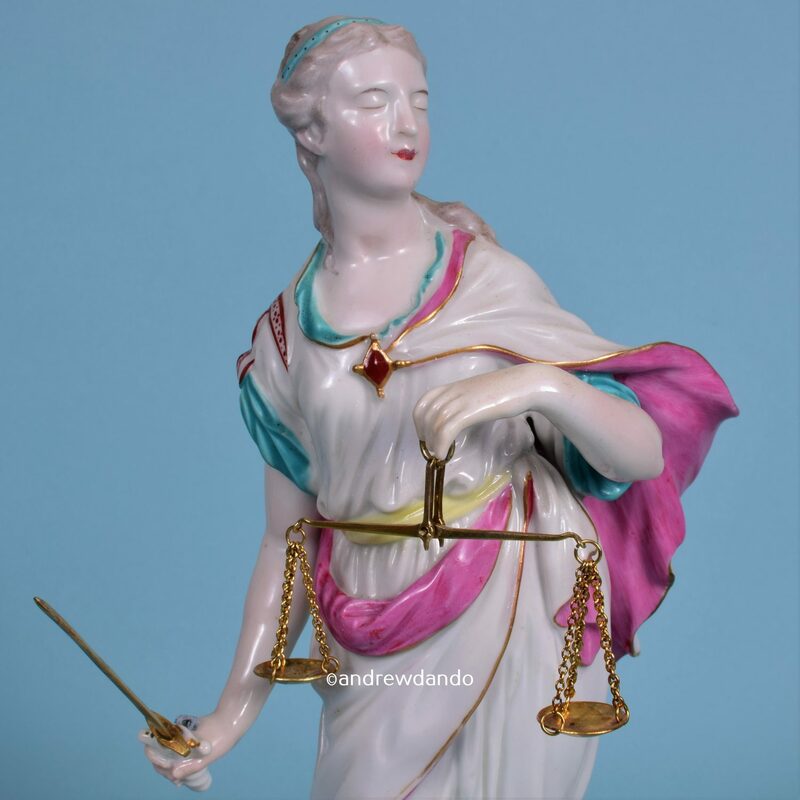 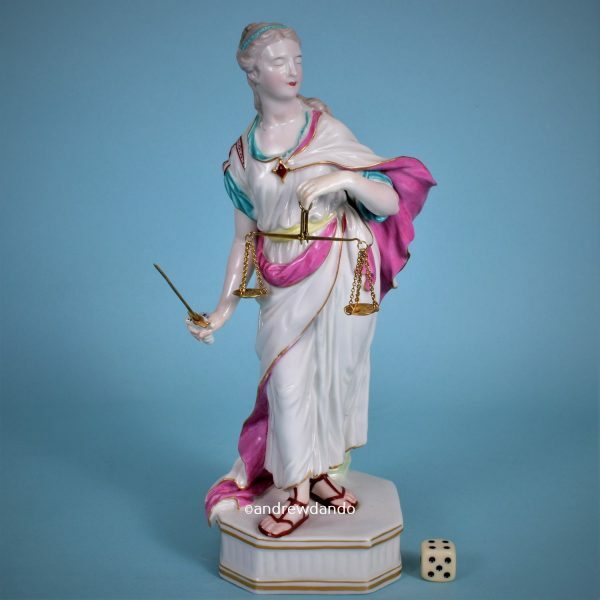 18th century Chelsea-Derby porcelain figure of Justice, in the neo-classical style with a rectangular base with vertical fluting. 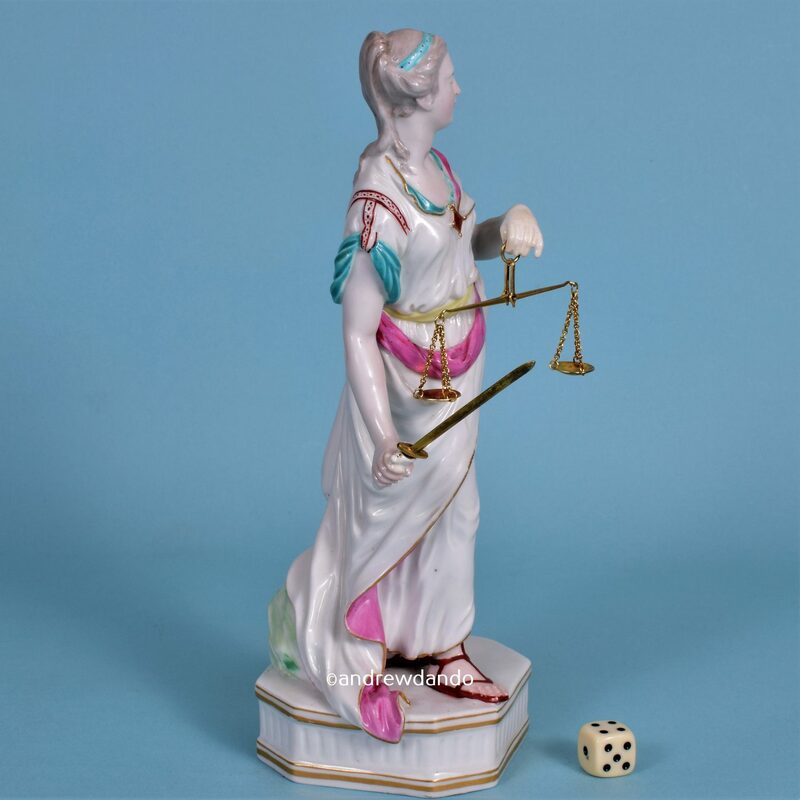 Sword & scales are modern silver-gilt replacements. 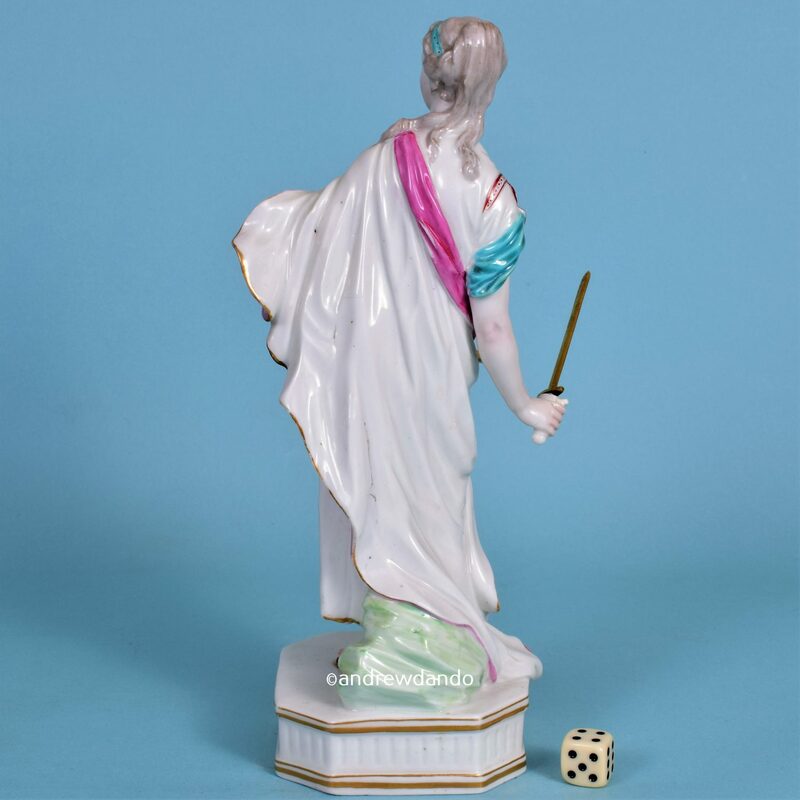 Condition: Minor professional restoration to left hand and chip on sword hilt.